If you love Inside Crochet, chances are you love yarn. 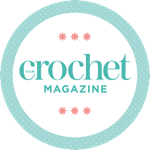 On sale right now is our latest crochet bookazine, The Amigurumi Collection. Welcome to our colourful compilation of delightful crocheted creatures. Take a step inside and marvel at the magical menagerie on display. We’ve pandas, sheep, bunnies and elephants and much more just waiting eagerly to be made. And, if you’ve had your fill of animals, say hello to an array of enchanting storybook characters – a brave knight, the friendly Mr Fox and the luscious long locks of Rapunzel and seasonal makes too. Fancy making something of practical use? Duck out of the reach of the shambling superstar Skip the crocheted zombie and settle down for something calmer - a sheep wash mitt, a children’s comforter and an apple doorstop all await inside as part of 33 fantastic amigurumi-inspired patterns. This fantastic bookazine is available at newsagents near you. Hi, I am in the States and can't find this in stores. Can I order it online somewhere? Does anyone know how to get a copy of this ? I haven't been able to find it anywhere here, and the only link I found that has these only ships to the USA.